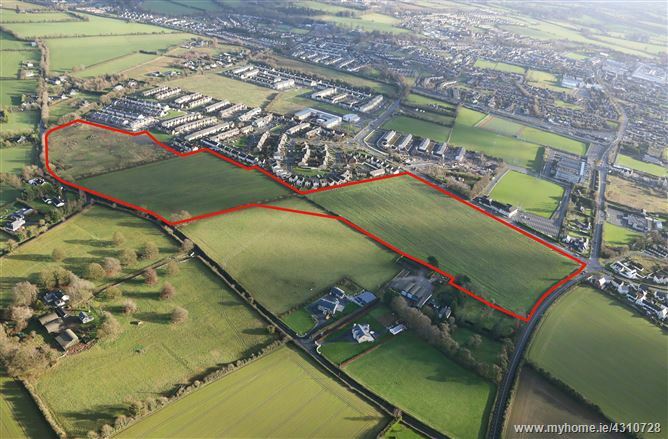 Superb opportunity to acquire a residential development site of scale in Newbridge located 500m from the Train Station. Type	No. of Units	Sq.M. Sq.Ft. • Total site area of approx. 13.62 Ha (33.65 acres). • The site is located at the Station Road, Rickardstown, Newbridge 1.5km north-west of the Main Street. 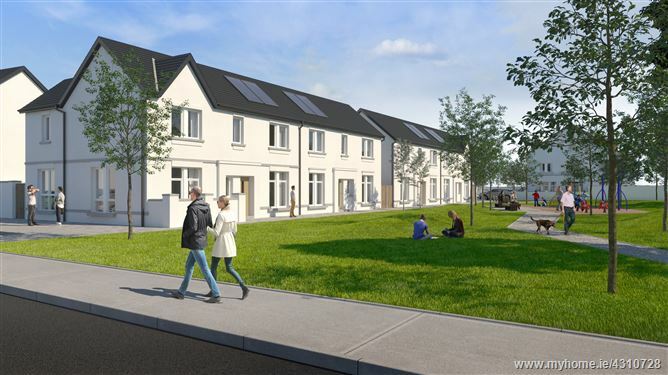 • The scheme is easily accessible, with Newbridge Train Station 500m from the site and Bus Eireann services on the Main Street. • Newbridge is located on the M7 Motorway providing excellent access to Dublin in 30 minutes and all major cities in less than 2 hours. 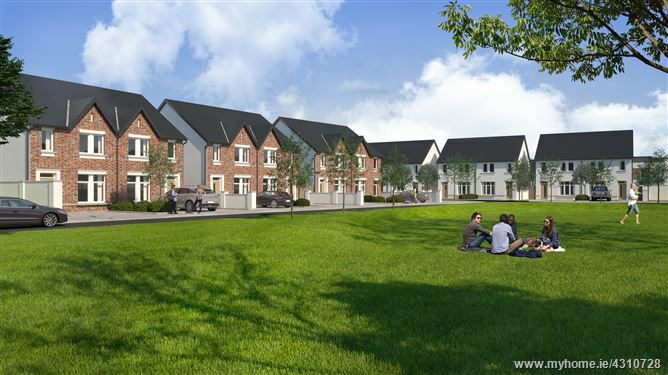 • Abundance of amenities and leisure facilities in Newbridge including Whitewater Shopping Centre, the Curragh Racecourse, Newbridge Greyhound Stadium, Newbridge Town FC, and Sarsfield GAA Club. 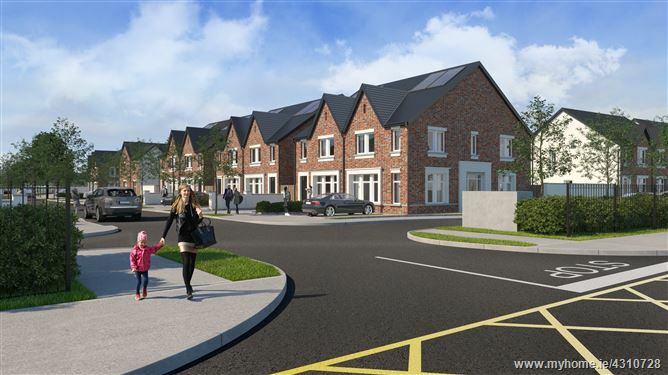 The subject site is located on the Northern side of Newbridge at the intersection of Station Road/Milltown Road and College Road adjoining the Roseberry Hill Residential Development and opposite Sarsfield GAA Club. The site is approximately 500 metres from the train station and 1.5 km from the town centre. Newbridge is situated approximately 45 km south west of Dublin just off the M7 Motorway between the adjoining towns of Naas (approx. 11 km) and Kildare (approx. 8 km) on the edge of the world famous Curragh Plains. There is an excellent road and rail infrastructure. The Bus Eireann 126 route runs from the town centre to Dublin city centre, there is M7 motorway access at junction 10 and 12 together with a superb commuter rail service to either Heuston Station or Grand Canal Dock in Dublin city centre. Local employers in the area include Pfizer Pharmaceuticals, Oral B, Bord na Mona, Lily O’Brien’s Chocolates, Department of Defence, Bloodstock Industry and Kerry Foods facility in Naas. The town benefits from a wealth of primary and secondary schools including Newbridge College. The lands contain approx. 13.62 Hectares (approx. 33.65 Acres) of residentially zoned land under the Newbridge Local Area Plan 2013-2019 and has the benefit of Planning Permission for 361 Residential units being a mix of 2, 3, 4 and 5 bedroom houses granted by An Bord Plenala (See brochure attached for breakdown). The site has excellent road frontage on College Road opposite the Sarsfield GAA Club and also on the Milltown Road (R415). The adjoining development Roseberry Hill has the benefit of a Centra Convenience Store. This is an established residential area and good selling location with its close proximity to the train station and town centre. There is also planning for a childcare facility which extends to 256.8 sq m (2,764 sq ft). Schedule of accommodation available from the data room. A seven-year planning permission (16/975) was granted on 26th January 2018 for an excellent residential development comprising 361 units together with a childcare facility. The site benefits from a granted planning permission of houses only. Title information located in the data room. VAT summary in the data room.